Working in the eighteenth century, Sarah Harrington favoured producing hollow-cut silhouettes where the profile is cut out but it is the surrounding white paper that is retained and is backed with black paper. This technique was more popular amongst American silhouette artists. This profile shows a gentleman in a Catogan wig and a three-cornered hat. 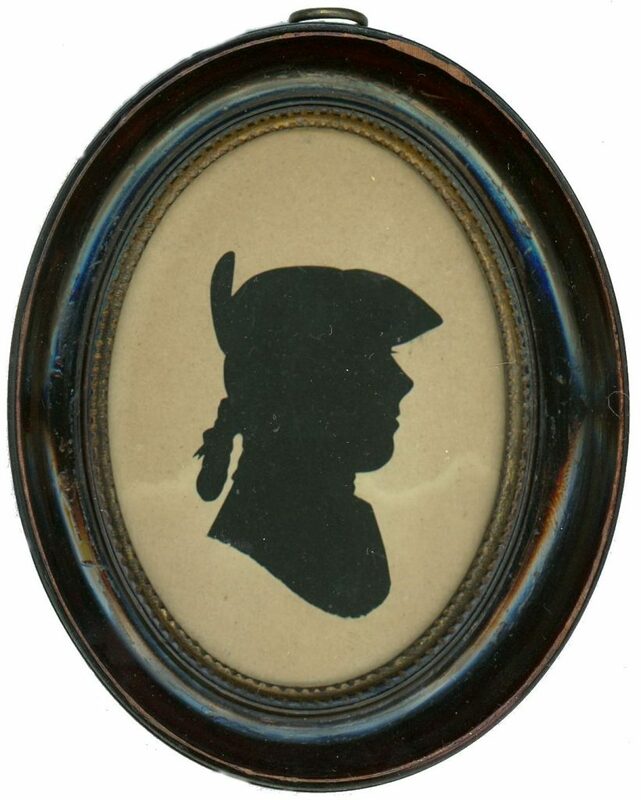 He is named on the reverse as E. Chambers and the silhouette is dated April 14th 1775. 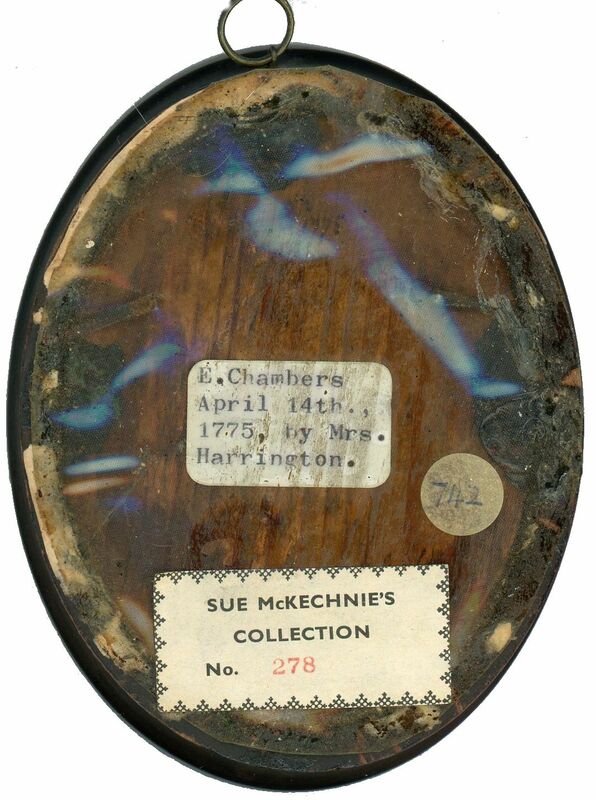 Records show that Mrs Harrington was working in Worcester during this month. The silhouette is housed in the original turned wood frame with an inner crenellated border. 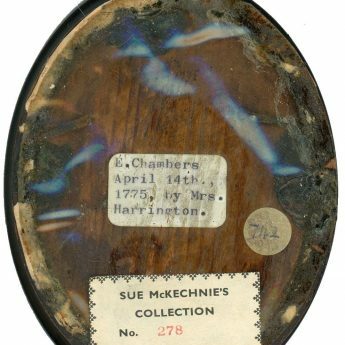 The backing board has a plastic cover so the frame has not been opened to confirm the inscription. Working between 1772 and 1787, Mrs Sarah Harrington took up silhouette cutting in later life and worked in all the major English cities, successfully patenting her method of producing profiles in 1775. She was well-educated and supported the education of women, even giving geography lessons to young ladies. Early examples of her work were never signed but are recognisable by the defined eyelash and the bust-line termination.